THE CALIFORNIA HOUSING CRISIS. All explained with just one statistic. 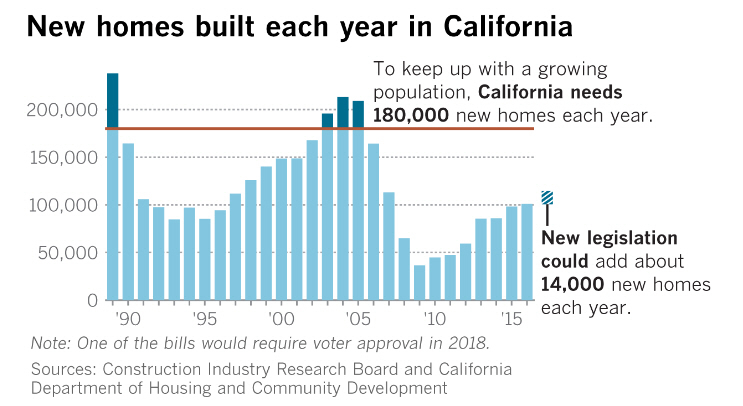 We need to build 200,000 housing units in California every year to keep up with population, but we are only building 80,000, and this has been going on for 20 years. This one fact explains everything. It explains why rent is so high, why house prices are so high, why people are doubling up in apartments, why recent college graduates in California move back home with their parents, and why even high paid software engineers in Silicon Valley are living in RVs. All this is happening because we are building less than half the number of housing units that we need to keep up with population. Why is this happening? NIMBYism. It’s all due to NIMBYism. California is where the NIMBY (Not In My Back Yard) movement began. While everyone in California knows that we need to build more housing, everybody wants that housing to be built someplace else, not near them. You can see the effect of this very clearly at BART stations. When our subway system was built 50 years ago, everyone assumed that high density housing would be built around BART stations, but for the most part, that never happened. The area immediately around most BART stations looks exactly like it did 50 years ago. Why? Because the people who live near BART stations want new housing to be built at somebody else’s BART station, not their BART station. Just stand in the middle of the parking lot at the North Berkeley BART station and look around. All the buildings you see are old, built before the subway was constructed. The same is true at the Ashby, Rockridge, Orinda, Lafayette, and most other stations in the BART system. Why? It isn’t because real estate developers wouldn’t like to build high-rise apartment houses and condos near BART stations in desirable neighborhoods. It is because the people who already live in those neighborhoods won’t let them. Unless this attitude changes, and I see no evidence that it is changing, California’s housing crisis will only get worse. It is sad. This is, after all, aside from the high cost of housing, the best place in the world to live. PAYING YOUR RENT WITHOUT WRITING CHECKS. If you do not want to write out a rent check to me every month, you don’t have to. Almost every bank has a Bill Pay program, including Bank of America, Wells Fargo, and Chase. Go to your bank’s website, find their Bill Pay program. Instruct your bank to mail me a check on a certain day every month on a recurring basis. The money will be deducted from your account when I deposit the check. It’s really that simple. Most banks charge nothing for this service. You can change the amount of your payment or cancel Bill Pay at any time. I have been using my bank’s Bill Pay program for many years to pay recurring fixed expenses, and I have never had a problem with it or been charged a penny for the service. WHY IS RENT SO HIGH IN CALIFORNIA? The chart below explains it all. It tells the whole sad story. 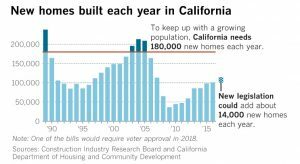 We need to build 180,000 new housing units in California every year to keep up with population growth, but we are only building 80,000, and this has been going on for 20 years. All of the housing problems we have in California, all of them, can be traced back to this one simple fact. Every year, our housing shortage gets worse, and this ever-worsening housing shortage explains why rents keep rising faster than inflation, why the vacancy rate is so low, why people are doubling up in apartments and houses, why people are paying a higher and higher percentage of their income on housing, why college graduates in California move back home with their parents after they graduate, and why thousands of people in the Bay Area are living in RVs, tents, cars, and trucks. Unless we build enough housing to keep up with population, all of these problems will just get worse. California’s Population Explosion. In 1945, the population of California was 8 million. Today it is 40 million. That means that for every 1 person who was living in California at the end of World War 2, there are now 5 people living here. I live in a house that was built in 1902. In 1902, the population of California was 1.5 million. That means that for every 1 person who lived in California when my house was built, there are now 26 people living in this state. Like most people in the Bay Area, I am not happy about this tremendous population growth. I too wish that fewer people were moving to California, but they are coming here whether we like it or not. And its easy to see why they are coming. This truly is the Golden State! Suppose you were living in a city in a Rust Belt state full of closed factories, where the unemployment rate was 20% and the minimum wage was still $7.25 an hour. Wouldn’t you want to pack your bags and move to California? The unemployment rate in California is 4%, and the minimum wage in California will soon be $15.00 an hour. America’s Black Hole. My sister Judy once called California ‘America’s Black Hole.’ I never forgot that because it’s true. What she meant was that moving to California is like entering a Black Hole. Nothing that enters a Black Hole comes back out. Once people move to California, they never go back to where they came from. Adios Baltimore! I grew up in Baltimore, a Rust Belt city. The population of Baltimore peaked in 1950 and has been declining ever since. The heavy industries that once supported Baltimore’s prosperous working class are gone. Baltimore’s shipyards that once employed 50,000 people are gone. The Glen L. Martin aircraft factory that once employed another 50,000 people is also long-gone. The Bethlehem steel mill that once produced 10,000 tons of steel a day is gone. As the jobs dried up, so did Baltimore’s population. Thousands of row houses in Baltimore with their famous white marble stoops are just rotting away. All of Baltimore’s once-fashionable downtown department stores are now abandoned. There are dozens of cities just like Baltimore all over this country, once bustling industrial centers that have been in decline for generations. Without the jobs, what is to keep people in Baltimore? Baltimore is hot and muggy in summer and can be bitterly cold in winter. There are no interesting geographical features in Baltimore like mountains or waterfalls or palm tree lined beaches. We can’t stop people from leaving places like Baltimore and moving to California, and it is a fantasy to imagine that people won’t come here from places like Baltimore if we just don’t build housing for them. Not In My Back Yard. We need more housing, a lot more housing in California, housing that ordinary working people can afford, but we’re not building it. Most of the city councils around the Bay Area are dominated by NIMBYs. (Not In My Back Yard). These politicians and the voters who elected them support laws that discourage new housing from being built, like downzoning, height limits, and and inclusionary housing laws. They also support laws that encourage landlords to remove existing rental units from the market, like rent and eviction control laws. Rent control gives owners of rental properties, particularly small rental properties, a financial incentive to get rid of their tenants and sell their properties to owner-occupants or to use their rentals for other purposes, like turning apartments into AirBNB rentals or offices. We need to accept this one fact – a lot of people are coming to California whether we like it or not. We are only hurting ourselves by discouraging developers from building new housing and by encouraging landlords to go out of business. Every now and then, a tenant will ask me if he can pay his rent with a credit card. My answer is No. All of my leases state that the rent must be paid by check or money order. I don’t accept credit cards. Why? It’s the bank fees. Most of the new apartment houses in Berkeley and San Francisco allow tenants to pay their rent with credit cards, but that’s because credit card fees are an insignificant expense for them. 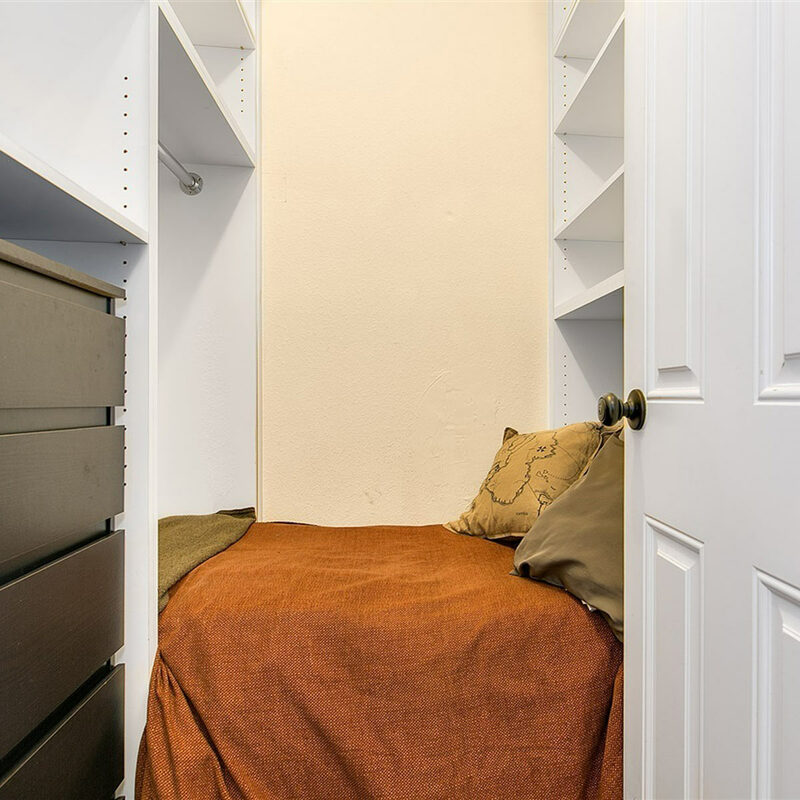 A 2 bedroom apartment in a new building in downtown Berkeley rents for $4,000 to $5,000 a month, but I’ve seen some that are over $6,000 a month. If I was getting that kind of rent, I would accept credit cards too! A growing number of landlords are allowing their tenants to pay their rent with Bitcoin. I really, really don’t understand that. Cryptocurrencies like Bitcoin are not currencies, they are not money, and they are not legal tender. I don’t know what they are, but I do know that I can’t pay my property taxes, garbage bills, fire insurance, etc. with Bitcoin. I can’t buy cocoa beans with Bitcoin either. I think some businessmen accept Bitcoin because they think it’s tax-free income; however, income that you don’t report on your tax return is not tax-free income. That’s called income tax evasion, not tax-free income. You don’t need to be a CPA to know there’s a difference. Supposedly, Bitcoin transactions and transfers are completely secret and untraceable, but I wonder if that’s really true. I suspect that the IRS has figured out how to crack Bitcoin’s computer codes. Military Grade Encryption. People tell me that there is no way the U.S. government can get into Bitcoin computer records because they use military grade encryption. But what does that mean? Does ‘military grade encryption’ mean ‘unbreakable’? As you know, I teach history, and history tells me to be very suspicious of unbreakable military codes. For over 5,000 years, governments have been trying to create unbreakable military codes, but without much success. During World War 2, the Germans thought they had an unbreakable military code, but Winston Churchill and Franklin Roosevelt got decoded copies of Hitler’s most secret coded messages to his generals before the generals to whom they were addressed got their decoded copies! That went on all through the war too. During World War 2, the U.S. also broke the Soviet diplomatic code and several Japanese codes. The Battle of Midway. The biggest naval battle of World War 2 was the Battle of Midway. There will never be another naval battle like that again. The Japanese were hoping to win a decisive victory that would knock the U.S. out of the war. The Japanese thought they were going to catch the U.S. fleet by surprise; however, the U.S. Navy had broken the Japanese naval code, so they knew where and when the Japanese were coming. Instead of ambushing the U.S. Navy, it was the Japanese that got ambushed instead. The U.S. Navy sank all the Japanese aircraft carriers at Midway. As a result, Japan also lost hundreds of their best pilots. After all the Japanese aircraft carriers were sunk, Japanese pilots had no place to land. When they ran out of fuel, Japanese pilots crashed their planes into the sea and drowned. Midway was a disastrous defeat for Japan from which they never recovered. Prior to Midway, Japan was always on the attack. After Midway, they were always on the defense. OK you say, that was then, but what about now? Now we have military grade computer encryption. Well Yes, we do have that, but you know, Vladimir Putin didn’t seem to have much difficulty getting past U.S. computer encryption during the 2016 presidential election. I think that people who do business in Bitcoin in the belief that they are fooling the IRS may actually just be fooling themselves instead. How Much Money Do You Have To Earn In Order To Rent An Apartment In A New Building In Berkeley? So – how much do you have to earn in order to rent one of these apartments? By my calculations, you would need to make at least $200,000 a year. You see, a person making $200,000 a year is only going to take home $100,000 after withholding. He is going to spend 33% of his income on federal income tax, plus 10% for California state income tax, plus 6% for Social Security. That leaves this guy with $100,000 a year or $8,300 a month in take-home pay. Landlords don’t like to rent apartments to people who are going to be spending over half their take-home pay in rent. So – what kind of people are going to live in this building or any of the other pricey new apartment houses going up in Berkeley? How many people in Berkeley make $200,000 a year? A lot more apartment houses like Parker Berkeley are going up. Many are already under construction. I think this a bubble, and I think it will end badly. 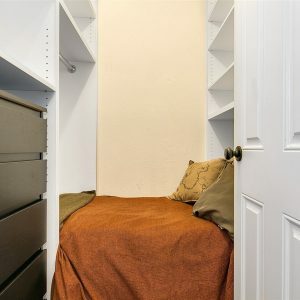 The thing that I especially dislike like about these new apartment houses in Berkeley and San Francisco is that they only contain housing for the rich, the poor, and the elderly. Nothing, absolutely nothing, is being built for normal working people. Tenants Will Get One Second of Free Rent in 2016. Is That Fair to Landlords? The year 2016 will be one second longer than most years. The U.S. Naval Observatory will add one ‘leap second’ to its atomic clock on December 31, 2016. All time zone clocks in the U.S. base their time on the atomic clock at the Naval Observatory. The reason for this is that the speed at which the Earth rotates on its axis varies slightly depending on climatic and geological conditions, and the Earth is slowing down. Every year, it takes the Earth a fraction of a second longer to go around the Sun than it did the previous year. As a result, a ‘leap second’ has to be added to the calendar every 500 to 700 days. That, in turn, means that if you rent your home, you will be getting one second of free rent this December! Now it seems to me that we landlords would be justified in raising our rents for the month of December this year since our tenants are going to get to live in their apartments for one second longer than they did last December. I haven’t heard of any landlords planning to do that, but it wouldn’t surprise me if some did. We landlords do not like to give away free rent, even its just one second every few years. Do Landlords in Berkeley Discriminate Against Irish Students? The short answer is No. There have been a lot of claims in social media and the press that landlords in Berkeley will no longer rent apartments to Irish students because of the balcony collapse at Library Gardens downtown that resulted in the deaths of 6 Irish college students. These stories are untrue. I have been a landlord in Berkeley for over 40 years, and nearly all my tenants are U.C. Berkeley students. I know a lot of other Berkeley landlords, and none of them blame the victims for this tragedy. It is true that there were far more people on that balcony when it collapsed than was prudent; however, engineering reports showed that the cause of the collapse was poor construction resulting in wood rot and that had the balcony been properly built, it could have supported the weight of those students. The sympathies of all the landlords I know are with the families of these students. Yes, it is hard for Irish students to rent apartments in Berkeley for the summer, but not because they are Irish. There is a severe rental housing shortage in Berkeley, and because of our local rent laws, most leases in Berkeley prohibit sub-leasing. The Irish counsel general in San Francisco has investigated claims of discrimination against Irish students in Berkeley and has concluded that these stories are baseless and has said so publicly. Why Isn’t Rent Tax Deductible Like Home Mortgage Interest? The short answer is Lobbying. Federal and state income tax laws in the United States give homeowners a huge tax break that is not available to tenants. Home mortgage interest, which is generally the biggest single expense for homeowners, is tax-deductible. However, rent is not tax-deductible. In other words, homeowners get to pay their mortgages with pre-tax income, but tenants have to pay their rent with after-tax income. Why is that? Well, it is simply the power of lobbying. There are very powerful and well-funded trade associations that want home mortgage interest to remain tax-deductible, including the National Association of Realtors and the National Association of Home Builders. These groups have the ability to write out checks for millions of dollars to PACs (Political Action Committees) and Super PACs that back compliant and ‘morally flexible’ politicians. Tenant associations don’t have that kind of money. It now costs over $10 million, on average, to get elected to the U.S. Senate. In most industrialized nations, home mortgage interest is not tax deductible. For example, in Canada, there is no tax benefit or deduction for home mortgage interest. Why? It is because they also don’t have Political Action Committees in Canada, and lobbyists in Canada cannot legally give money to politicians. If you would like to pay your rent without writing out a check every month, check out Rad Pad. Rad Pad can issue and mail an physical rent check to me or any other landlord in the U.S. If you set up an account with them and pay with a debit card, the fee for their service is zero. (I can’t see how they can afford to do that.) If you use a credit card, they charge 2.99%. That seems like a lot, but If you have a rebate credit card, the net cost to you could be relatively little, depending on how generous your rebate card is.